Since we moved to Paris at the end of January, we have loved discovering the city and all the delicious dining options. For anyone who is wondering where we’ve been eating, here are a few of our most memorable dinners from the past 6 weeks. One of the first things we did after the big move to Paris is go for dinner at Shu. 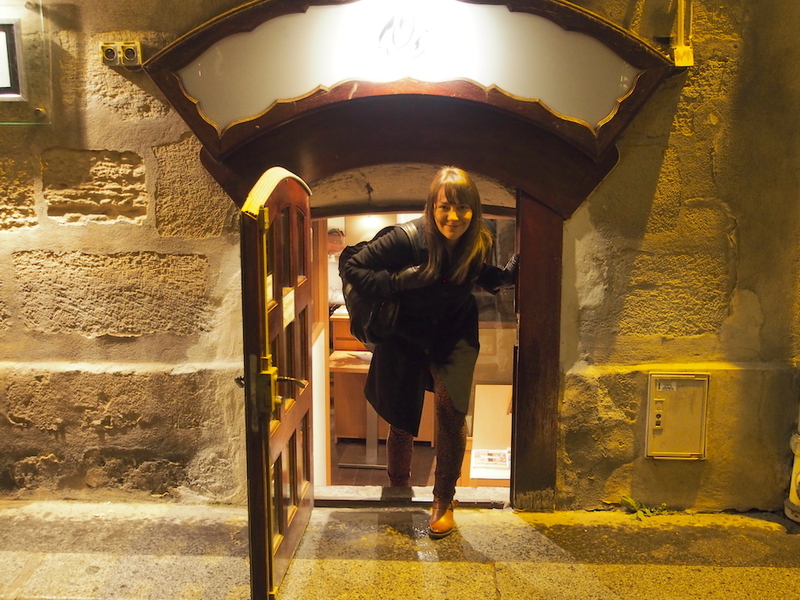 We saw this cute Japanese restaurant on our last visit to Paris and were immediately drawn to it because of the tiny door you need to go through to get inside. I really wanted to try it last year but unfortunately we found it towards the end of our trip and were unable to secure a reservation. I was so disappointed last year that Sean tried to cheer me up, saying that when we move to Paris Shu would be the first place we go for dinner. I brushed off his promises, thinking that we would never seriously move to Paris. 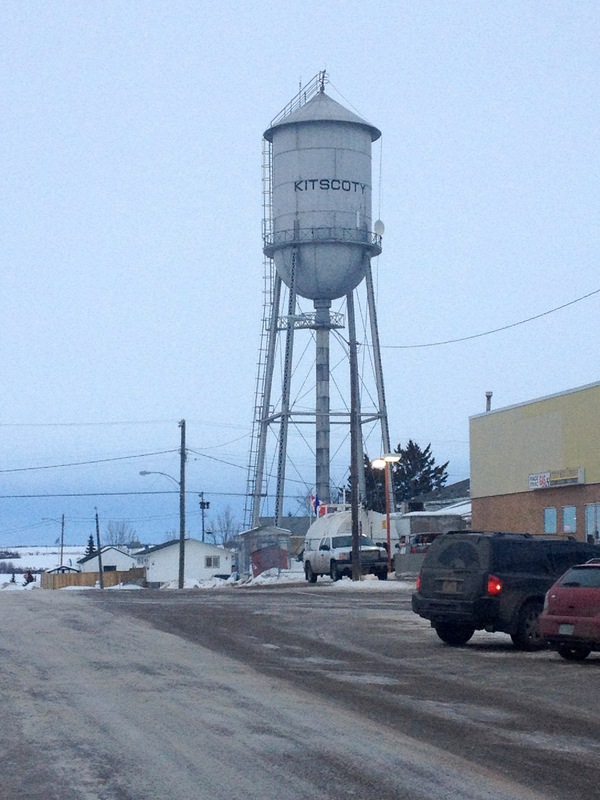 However, a year and a half later we are here and this is indeed the first place we went for dinner – as promised. Shu has three set menus to choose from, which all include kushiague – different types of meat, seafood and vegetables deep fried on skewers. 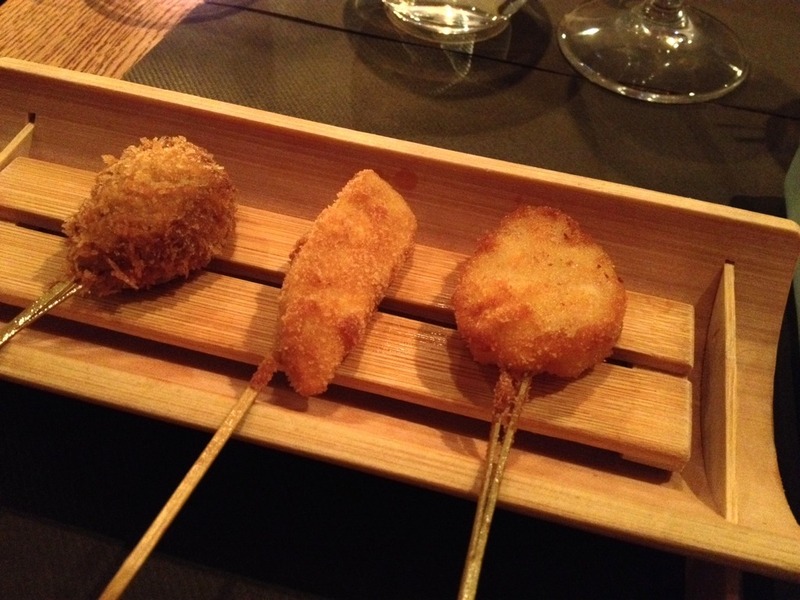 Overall, while the meal was good, I would have liked to see a few more fresh options included in the set menus to balance out the deep fried foods – I found the meal a bit too heavy and salty. 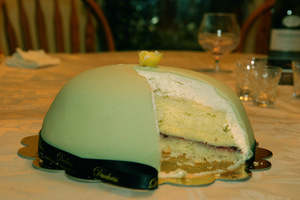 However, the staff was very friendly and since the dinner was more symbolic for us than anything else, I loved it. 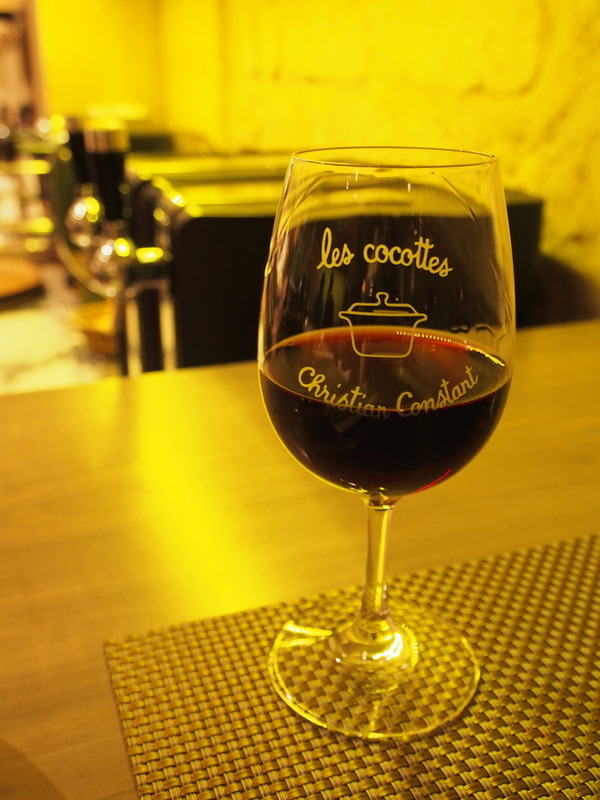 Our second dining experience in Paris was at Les Cocottes. 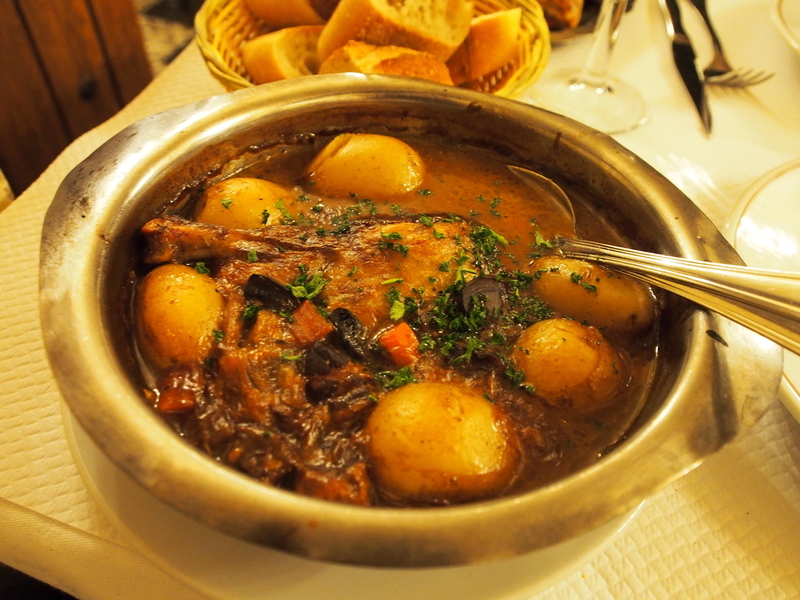 We read about the restaurant on David Lebovitz’s list of Paris restaurant recommendations. To be honest we’ve been relying quite heavily on all of David Lebovitz‘s articles on living and eating in Paris. He has articles on everything from tipping in France, to public transport to where to find groceries. They are so helpful for anyone who is visiting or moving to Paris and I can’t recommend them enough. 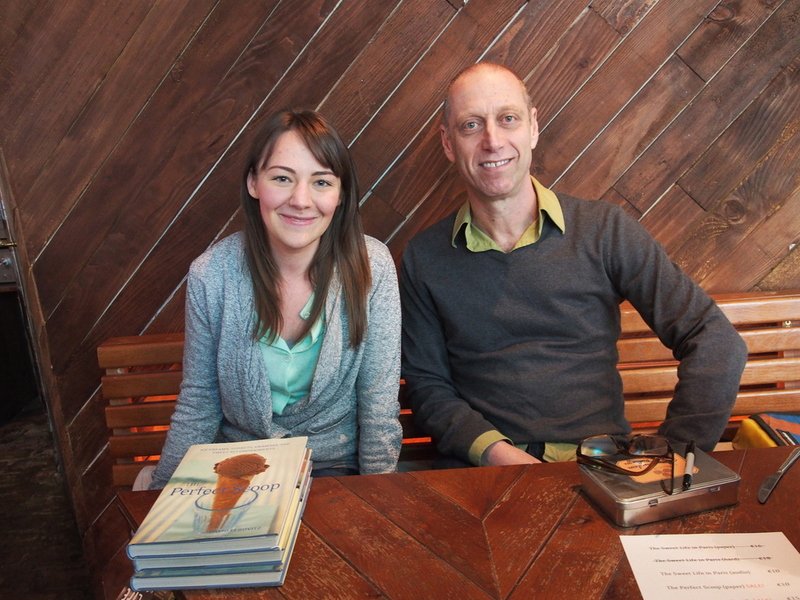 And after spending so much time on his site, I was stoked to meet him at a book signing last month! Ok now back to Les Cocottes. This restaurant is in the 7th arrondissement, about 5 minutes walking from the Eiffel Tower. We had great service here and were pleased to see that the prices were actually really reasonable for a restaurant in such a popular tourist area. I found the food fantastic and this is probably my favourite dinner to date in Paris. Since they don’t take reservations and the small space can get crowded, we sat at the bar and started with a few glasses of wine. 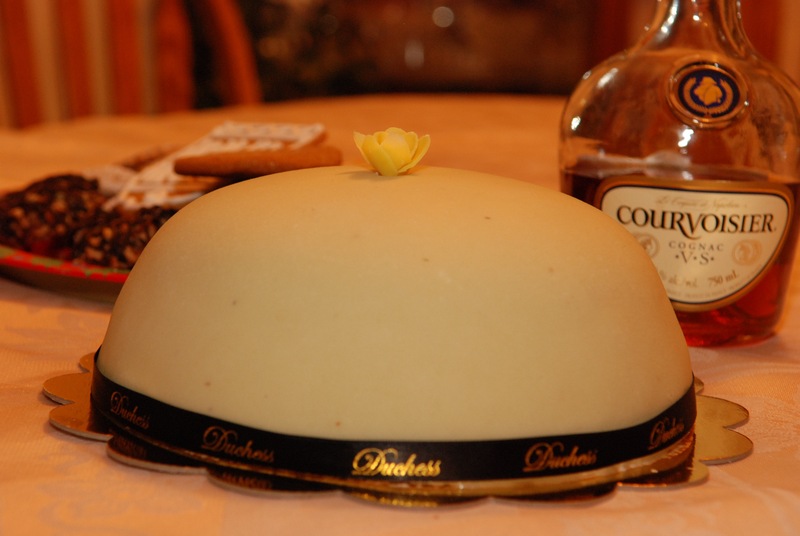 Based on the name of the restaurant, you may have guessed that it is known for dishes served in cocottes, fireproof dishes in which individual sized meals are cooked and served. We decided to share the potatoes farcie (stuffed) with pied de porc (pig’s feet) cocotte. I’d never had this type of meat before but our waitress assured us that it was delicious, tender and not fatty. 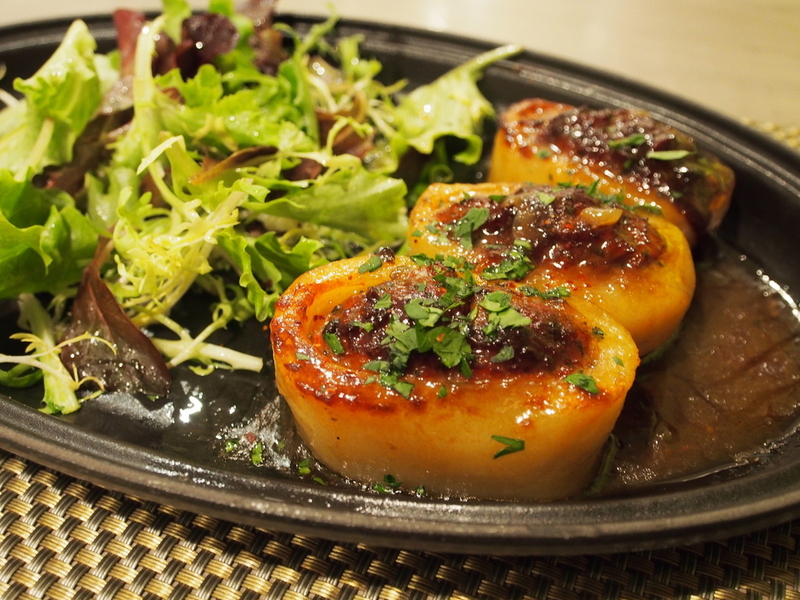 The potatoes were cooked perfectly, caramelized on top. The meat was as delicious as she had promised and I would have gladly eaten the entire cocotte myself. We also decided to share “La vraie salade César Ritz”. This is the restaurant’s take on the traditional César salad and while it photographed terribly, it tasted fantastic. The salad had a generous amount of chicken, hard boiled eggs and croutons. The dressing was perfectly rich and creamy. 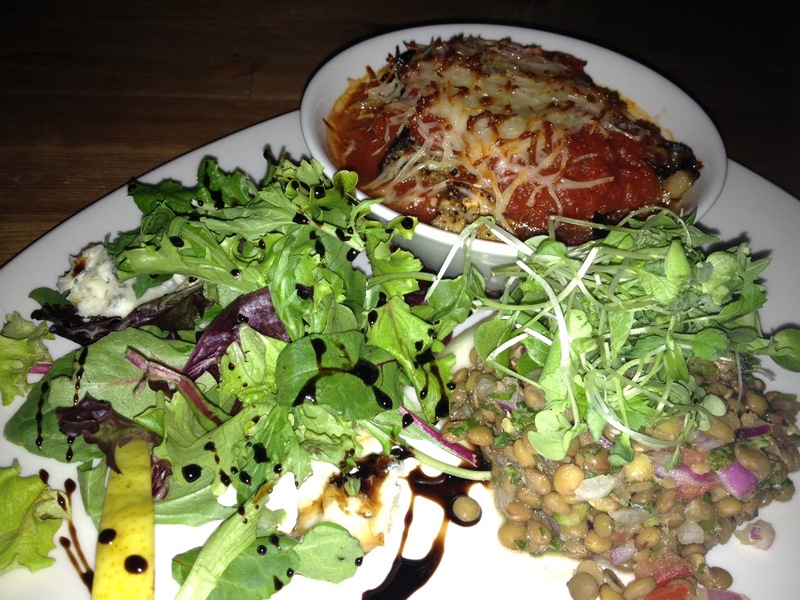 This salad was really memorable and I would gladly return to order it again. Overall, the dining experience here was excellent and I wouldn’t hesitate to recommend Les Cocottes! 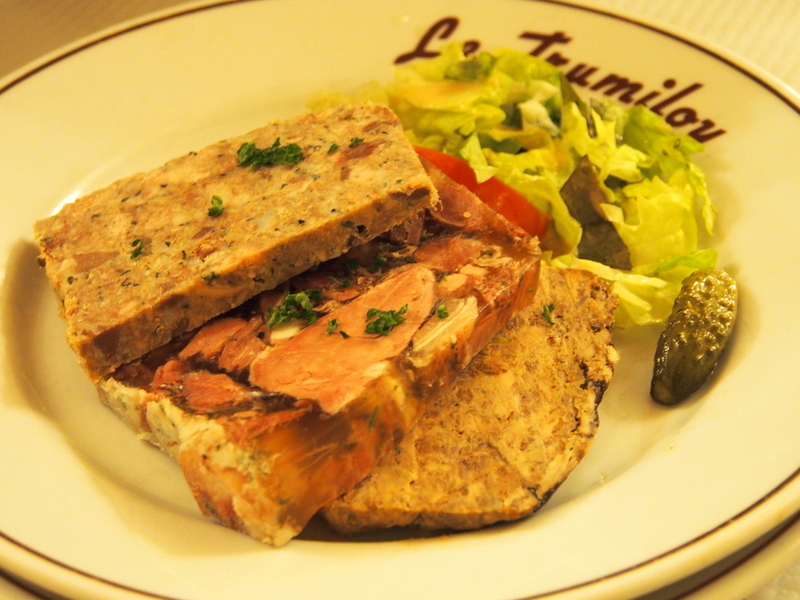 Le Trumilou is a small bistro which serves classic French dishes. 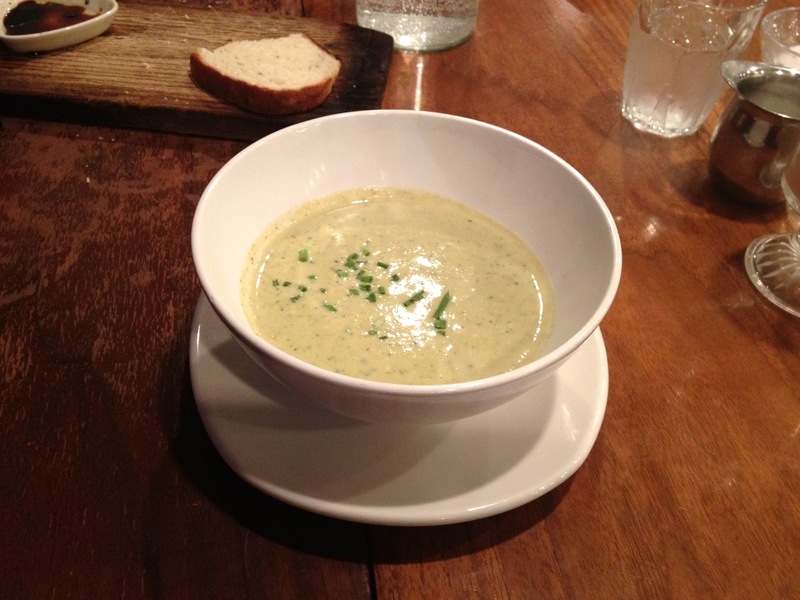 The restaurant is fairly casual and dishes are simple and unpretentious yet the meals are comforting and satisfying. The menu is very meat-focused with several wild game options. We went with the fixed menu of the day. I started with the shrimp and avocado cream. This was a very refreshing choice, but I would have liked to see a bit more strong flavours used in the dish. Sean went with the charcuterie plate. I am usually a bit hesitant of various jellified meats but I must say I thought the three choices served as part of the appetizer were really delicious. Again, the plate was very simple, but the quality of the meat was evident, making for a tasty appetizer. For the entree, I went with the guinea fowl. The meat was stewed with potatoes and a flavourful broth. It was perfectly tender, aromatic and falling off the bones. Sean went with the goat (sorry no photos) which was well-prepared in a simple sauce to highlight the flavours of the meat itself. 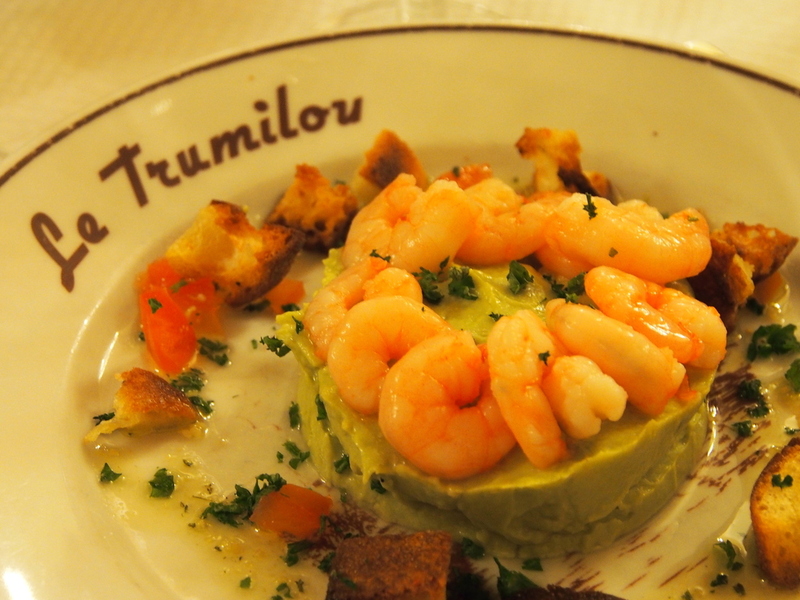 Overall, we enjoyed Le Trumilou. 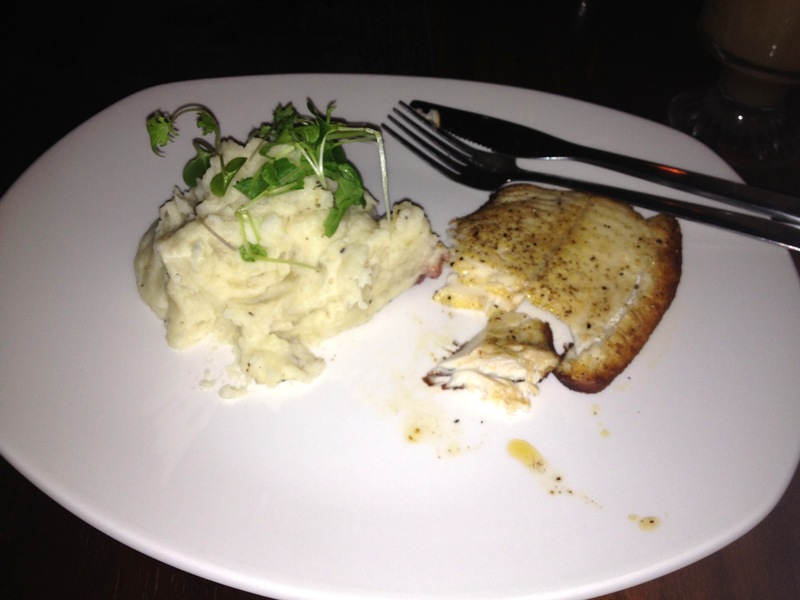 It is a welcoming French bistro that serves up well-prepared classics at reasonable prices. This is not the type of place where you are likely to see the chefs experimenting with new flavours or modern dishes. However, when you have a hankering for a traditionally prepared cut of good quality meat, this is the place to go.